The Ultimate Taste Test 2014 - The Rockwell Tent - All Chucked Up! Taste is relative. What is flavorful and delicious for me may not be the same for you and vice-versa. That, in my opinion, is what makes putting up food spots very tricky. One has to be able to cater to a good number of people and be unique enough in order to be successful and sustain this particular kind of business. We are all food critics in our own right, wouldn’t you agree? So, why not test your critiquing skills together with other “food critics for a day” and see if your taste is the kind that makes (or breaks) upstart food businesses. It’s the Ultimate Taste Test 2014! No doubt, you’ve already heard of this annual gastronomical event before. 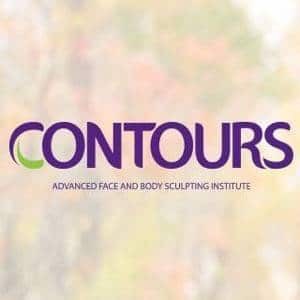 If you haven’t been to one, make sure not to miss it this year! The Ultimate Taste Test 2014 is one of the most exciting and eagerly anticipated tasting events which a multitude of food lovers and connoisseurs are most definitely looking forward to. 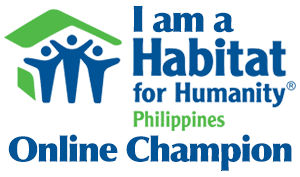 I know I am. 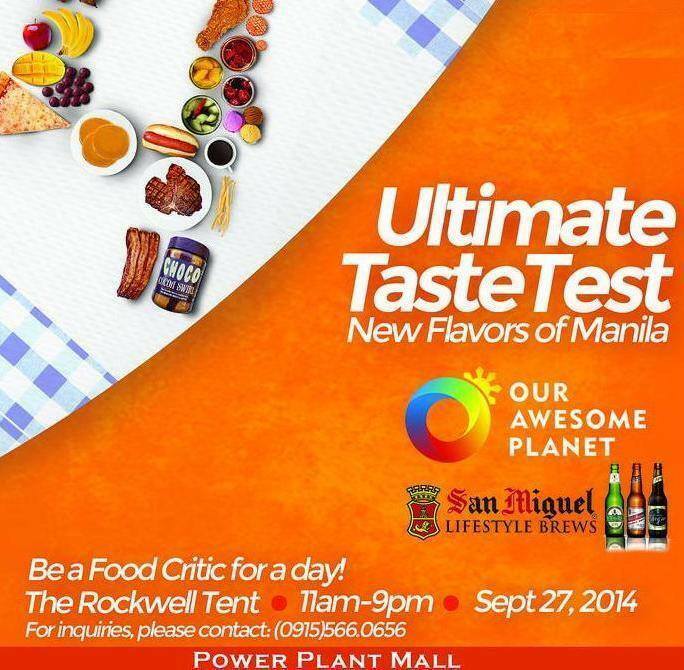 Presented by Our Awesome Planet and San Miguel Lifestyle Brews, the Ultimate Taste Test 2014 happens on September 27, 2014 (Saturday) at The Rockwell Tent from 11AM to 9PM. 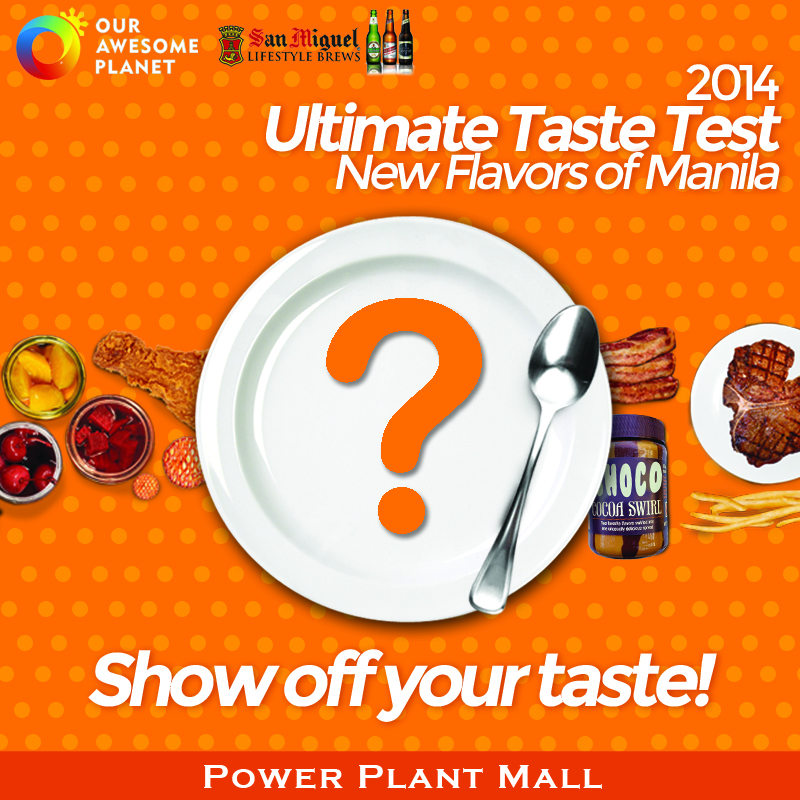 Bring friends and family to the Ultimate Taste Test 2014 and get to sample new mouth-watering dishes and offerings from over 50+ home-based food businesses along with Power Plant Mall’s very own establishments. This year’s event is the 12th in the Ultimate Taste Test series. Food blog pioneer Anton Diaz of Our Awesome Planet embarks on this annual partnership with Rockwell for the fourth straight year. Are you ready? Better ready your tummies as well. The variety food is going to be vast and it will be ridiculously overflowing. I’m so excited! By the way… Food Supplier applications are now open! You may fill up the Rockwell 2014 UTT Application Form and submit via email to [email protected].